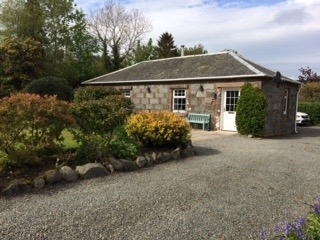 BRAEFOOT 1860 This charming detached cottage with enclosed gardens and wonderful views of surrounding hills, sits in the conservation village of Straiton, South Ayrshire. 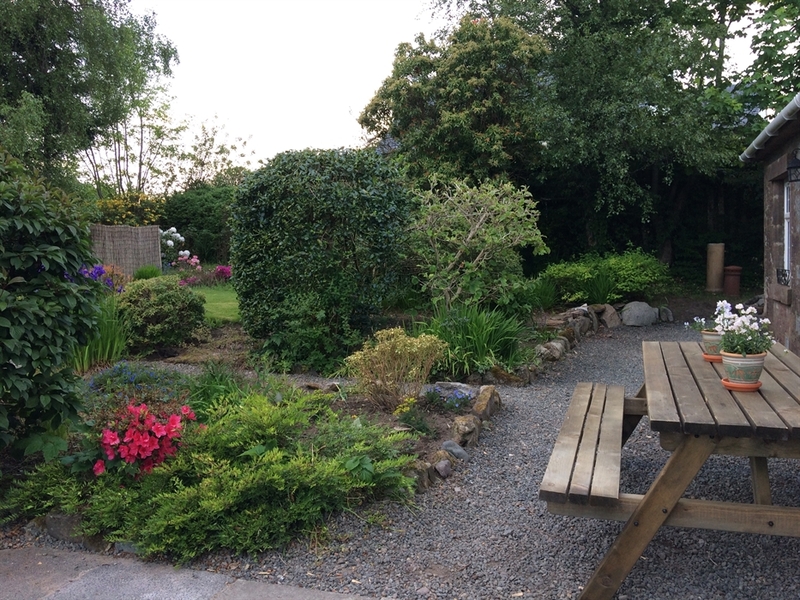 This traditional stone cottage with delightful garden, rich in floral shrubs, bushes and a variety of trees to the front, has glorious views of the neighbouring countryside and Craigengower Hill with its imposing skyline obelisk, can be easily seen from a viewing point bench at the top of the garden - a place of perfect peace and calm. 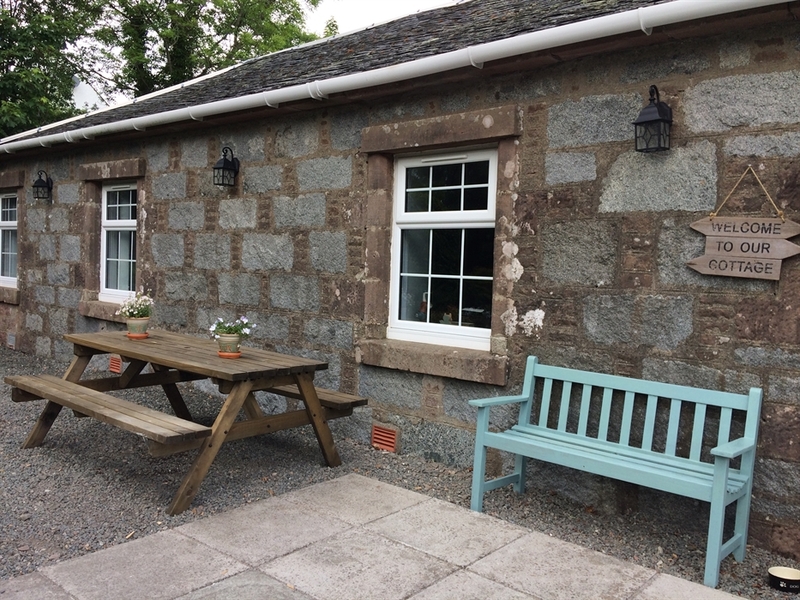 The front patio with garden furniture enjoys the sun from morning coffee time, through lunchtime and up until early evening - a veritable sun trap (weather permitting). Parking for 2 cars, plus bicycle rack and BBQ. To the back, there are tubs of herbs and fruit from the orchard to enjoy and plenty of space for children to safely play out. 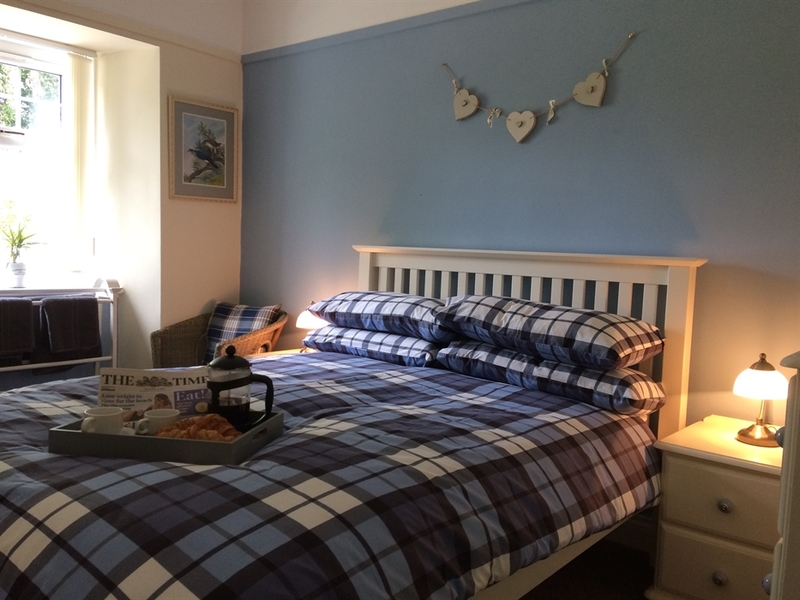 Braefoot 1860 has been tastefully refurbished to a high standard providing a double and a twin bedroom, lounge/ dining room, fully fitted kitchen, shower room & toilet. 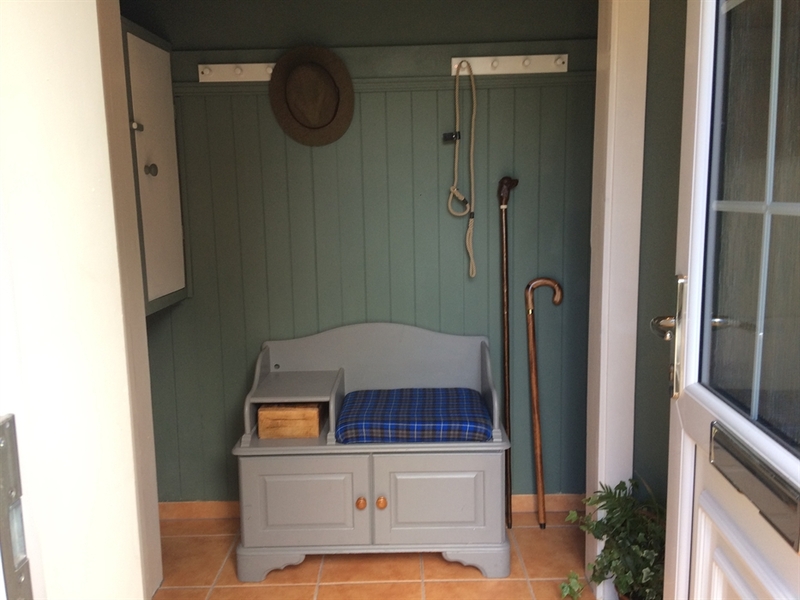 From the front vestibule - a place to store shoes, wellies, fishing rods etc. 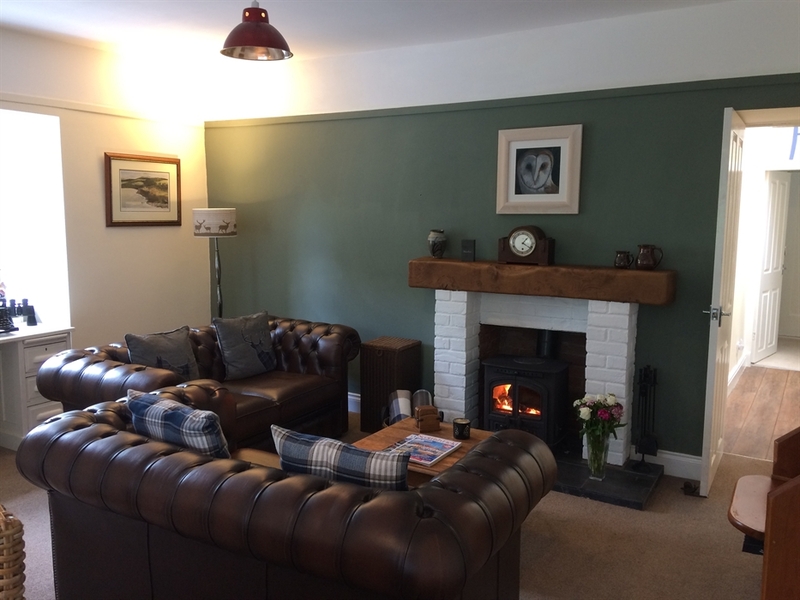 is the cosy lounge/dining room with log burning stove and two comfortable Chesterfield sofas, large Free-sat TV plus DVD player with a selection of DVD’s and a choice of books and games - a lovely room to relax after a day’s activities or to chill out on a rainy day. Dinner can be enjoyed here too at the round dining table in front of the glow of the fire. The kitchen, with a generous supply of crockery and cutlery, is equipped with an electric cooker, microwave, fridge, freezer, washing machine and dishwasher. The bathroom is a bright modern shower room with heated handrail. 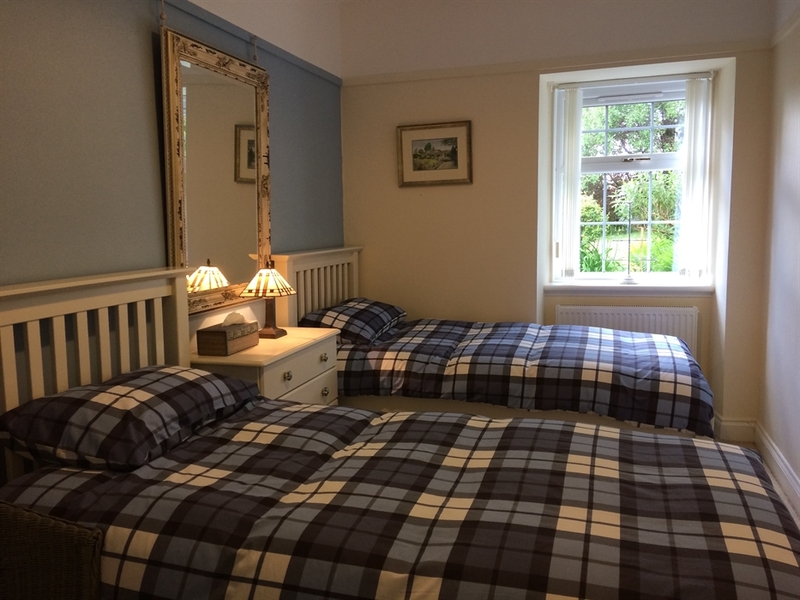 Both bedrooms, in pretty shabby-chic style, overlook the front garden and the tranquil countryside. They have ample storage; hairdryers are provided. 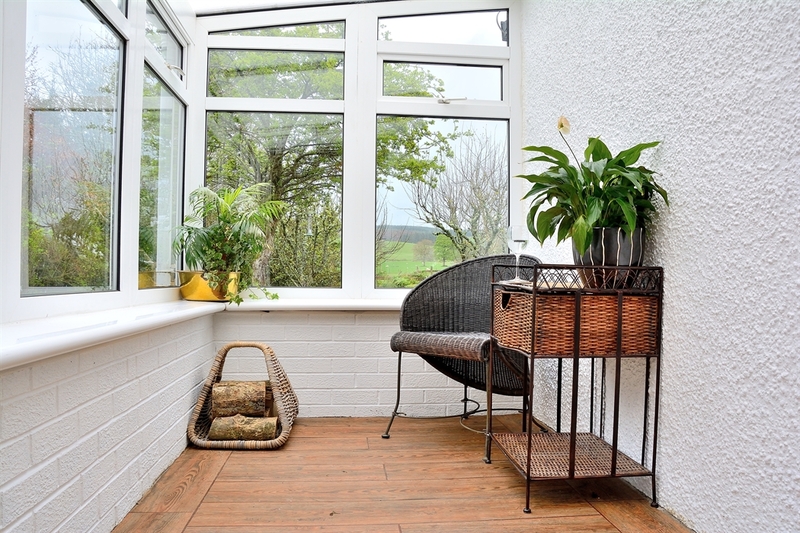 A small conservatory to the back is a quiet place to sit and bird watch - look out for jays, woodpeckers, chaffinches and many more species or enjoy a glass of wine listening to music with the CD player and CD’s provided. Well-behaved dogs are welcome on arrangement and smoking is only permitted outside. Straiton, mainly built in the 18th century with the Black Bull Inn dating back to 1766, is a lovely, friendly village served by a community-run store, (stock includes locally sourced produce, fresh bread daily and fishing permits) a tearoom and local parish church. Near the river and across the road from the cottage, there are picnic tables, a children's playground and a notice board in the adjacent car park with information about the varous way-marked paths around the village, hence the area being known as “Ramblers Territory”. Many other popular outdoor pursuits can be enjoyed close by such as cycling, hill walking, fly fishing, golf, bird watching and canoeing. Enjoy the unspoilt ancient woodland and heather-clad hills of the nearby Galloway Forest home to nesting ospreys and red kites or venture there by night to experience the fascinating Dark Sky Park where over 7000 stars and planets can be seen with the naked eye. The seaside town of Ayr is a mere 13 miles away and Glasgow and Edinburgh can be easily reached by car, train or bus for a day out. Culzean Castle & Country Park, Dumfries House and Alloway’s Burns Cottage & Museum are just some of the cultural delights of the area, whilst the movie The Match, starring Richard E Grant and Laura Fraser was filmed mostly in the village of Straiton and nearby Blairquhan Castle stood in for Balmoral in Helen Mirren’s Oscar winning film The Queen.